Explore the unique habitats of the Pacific Ocean, including beaches with hidden treasure to discover and amazing tide pools to explore. Investigate the fascinating organisms that live in ocean habitats and their adaptations. 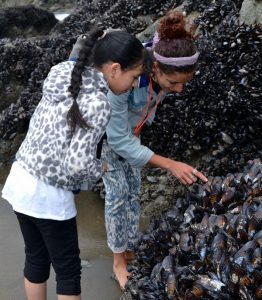 Meet green sea anemones and blue mussels, find a shoreline crab, taste seaweed and learn how everything is interconnected in ocean food chains. Visit the Marine Mammal Center to meet rescued seals and sea lions. 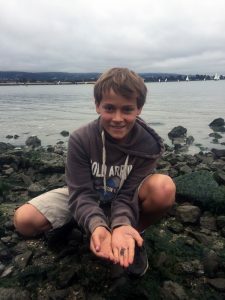 Experiment with the unique properties of salt water, and learn about the important role of three National Marine Sanctuaries located close to the Golden Gate Bridge. Learn about the problems of marine plastic pollution and how to reduce this pollution at the source. 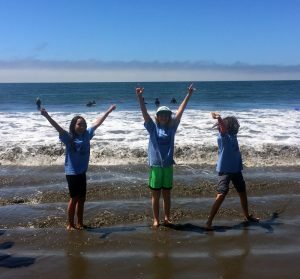 Explorers will also experiment with the impacts of ocean acidification and discover how to reduce our carbon footprints.